BoSacks Speaks Out: My friend Samir Husni has penned a short essay and complaint about "numbers" used in our industry for purposes of industry review and analysis (See below). He bemoans the way some media reporters publish stats on the number of new titles in each quarter, and he wishes that they reached out to him for his extensive collected number of new launches. I suggest that his collection of data is very large, unique and probably the most definitive. It is true that the numbers we read in the trade press are varied and terribly inconsistent. From my perspective as an industry insider, it has always been fun to see the numbers and the constant surplus of new titles. That being said, I am using Samir's essay to launch my own observations about data in our industry in a week of many numbers which, although interesting to read, are for the most part irrelevant and misleading. In fact, the number of new magazines we make is a red herring to our actual vibrancy. 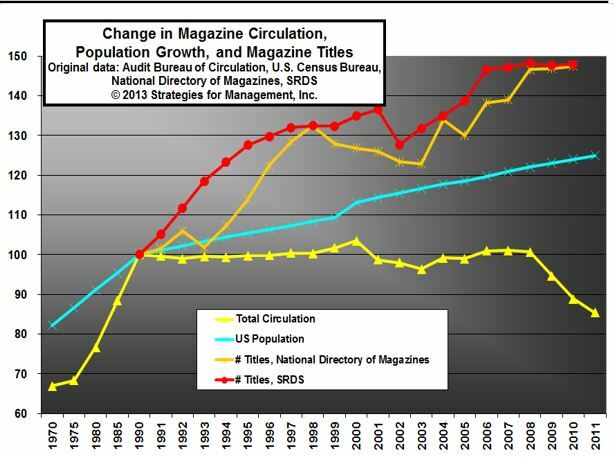 The only stat that matters is how many magazines we sell, and those numbers have been dropping since 2007 to a loss of over 50% in newsstand sales and, depending upon who you talk to, 18% in subs. There is absolutely nothing new in the latest newsstand reports that we didn't really already know, and the latest stats shouldn't be any kind of surprise to anyone. The print enthusiasts on the planet will continue to deny that there is anything wrong with the medium, and many new print titles will still be born despite the statistically obvious fact that print gets a smaller footprint each and every quarter since 2008. There is no bottom to this trend and there is no correction possible anywhere in sight. Nevertheless. I suggest that there is some hope. My question to you all is this: Is totality of averages really the only effective way to look at our industry? Are we actually one big inter-connected publishing company and it's sink or swim together? Or are there thousands of separate companies and titles that have their own hidden successes as well as the obvious on-going failures? With our predilection for schadenfreude, we humans love a story of things that have gone wrong. We get distracted and perhaps enchanted by negative news, of which there is plenty, and forget that there are successes happening every day, too. What about the hundreds of titles that are actually doing well, even in the dark and murky newsstand? What about the enthusiast titles that are doing fine and have reworked their business plans to gather an extraordinary amount of revenue in other areas than declining print? What this means to all of us is that we aren't dead nor dying as an industry. I will admit that there may be a great deal of major industrial pruning yet to happen. But evidence has shown that consistent growth is a possible outcome for some titles and even some entire genres. There isn't going to be an end to this trend until we lose the concept of print as a commodity and follow the bookazines to success. Better, more expensive magazines produced in smaller numbers is the path to success in print. Simply put, we need to print less and charge much more. I have said for a very long time that print isn't dead or dying, but it is going on a stringent and long term diet. As painful as the smaller more expensive footprint might sound, this is the path to profitability and sustainability for a print product in the 21st century. Professor Samir Husni and I both love the magazine industry, yet we come to that affection from completely different directions. He is enamored withprint on paper , while I am enamored by the global power of content distribution in/and on any platform that the consumer/reader wishes. The differences of our perspectives are very significant, but don't preclude a decades-long, great friendship. Conversations between us are at the very least dynamic, as one young man found out when he was sitting between us at dinner on the first night of the IMAG Conference in Boulder. He got an earful from both sides. Samir's takeaway from the IMAG conference is a product of his affection and belief in print. Although I, too, believe in the moderate longevity of print, I also believe and fully acknowledge that it is continuing to take a second seat to other platforms and other paths of sustainable revenue. In fact all the IMAG conference subject lines were how to make money and grow your company in every possible way other than print. And that to me is ironic in the extreme. Allow me to explain the irony. BoSacks Interview with Maria Rodale, CEO of Rodale Inc.
Is there a difference between a content company and a technology company? The answer to that question is becoming increasingly difficult to answer. In the recent past, publishers were by and large content companies. Today, with the blending of multiple content distribution formats, magazine media companies have forged new business alliances and discovered new types of competitors, blurring the lines between magazine companies and technology companies. David Carey recently noted that, "Hearst is a content company, operating with a platform mentality...functioning as one global entity as far as content sharing." I suggest to you that only a technology company that sells content on such a vast scale can achieve the goal of that kind of global outreach. Let's put a bunch of companies in the same sentence and see if we can divine the differences: The New York Times, Hearst, Condé Nast, Yahoo, Buzzfeed, Vox, and Upworthy. Can you distinguish the differences between these companies and their missions? If we are all fast becoming technology companies, as it seems we are, perhaps we should consider the differences and significance of online readership and off-line readership. Are we nearing a point when it will all be just readership? BoSacks Readers Speak Out: On ASME, Time Inc., On Newsstand and Circ issues. Bob, thanks for posting. Rita Cohen from the MPA summed up the situation - selling this way is worth the hassle because agents have connections that publishers may not have. "Our hope is that we can rely on the agents to do business as we put forth in our guidelines so that we can continue to get our content to as broad an audience as possible." Since the MPA publishes guidelines on behalf of their members - the publishers, they have a responsibility to enforce them. It is obvious they are not being enforced. The MPA should be held to a higher standard in monitoring these activities. It seems to us that the ASME has lost some of its teeth, and this is their way of playing catch-up and trying to stay relevant as the marketing dollars make more and more of the editorial decisions. Appeasement has a way of falling short in the long run, and consumers have a way of seeing through this kind of veiled attempt at maintaining lines. Simply waving around your guideline isn't enough to prop up your integrity when it starts to falter. Last week I went to Denver to attend the Niche Media Conference. As I sat there at the opening ceremony I started to wonder about the term "niche". We all use it, but do any of us know the actual meaning of the word. I didn't. The term comes from Vulgar Latin, vulgar in this case meaning "common or vernacular Latin" rather than Classical Latin. The Vulgar Latin word was nīdiculāre which means to stay in one's nest. From Latin the French used the word nicher or "to make a nest." 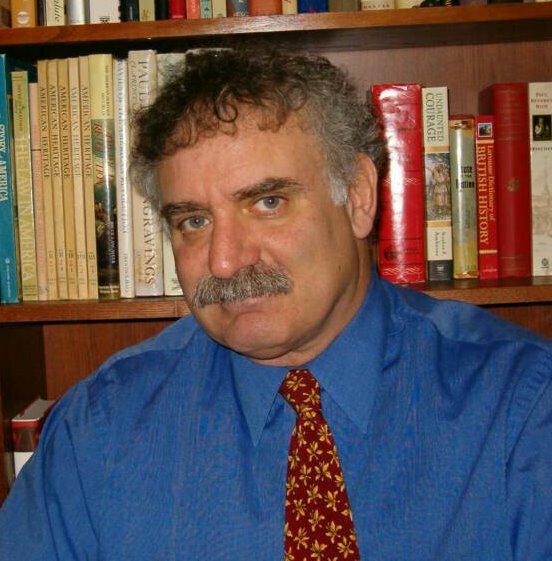 I tell you all this because Carl Landau has succeed in making a publishing nest at his Niche Media Conference. I must have asked 45 of the 250 attendees if they liked the event and why. Most of the people I met were returnees, and that says something right there. A few have been coming since the beginning, which I think I heard Carl say was 9 years ago.